Whatever you specialise in as a freelancer, your job is to provide a service to businesses in exchange for money. There are more people freelancing than ever before, which might mean more competition, but it also means there is a bigger market so businesses are more likely to think about hiring a freelancer. Whatever service you offer as a freelancer, there are plenty of opportunities out there. 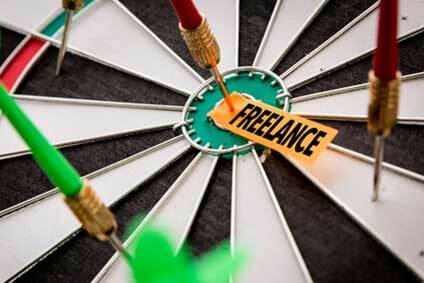 Here are some of the reasons why there are plenty of opportunities for freelancers. As a freelancer, you specialise in at least one area of expertise. Businesses often don’t have this expertise, especially small businesses with a small staff. This is an opportunity for freelancers because they can provide this expertise as and when needed. When a business hires a freelancer, they receive more than just work. Freelancers get the opportunity to share some of the knowledge they have, giving businesses more of a reason to hire them, and more of a reason to keep hiring them when they realise how much this extra knowledge helps their business. Because a freelancer really knows what they are doing in their area of expertise, they can get things done a lot quicker than a business that gets a current employee who isn’t an expert in that area to perform the same function. Full-time employees are expensive for a business because of the salary, the recruitment process, and the extra benefits employees are entitled to by law. This is a great opportunity for freelancers because a business can hire them only when they need a certain service rather than having to employ someone on a longer-term basis. In business, some periods are busier than others. This is true for the whole business, but also when going down to specific functions. This is where the opportunities come from for freelancers – a business can hire a freelancer when a specific area of the business is particularly busy, and then stop using them when things get quieter again.